Multi room audio has been around for many years. Basically as the name suggests, multi room audio means music in multiple rooms. By installing speakers throughout your home, you can stream all your favourite tracks with full control from your mobile device, an in-wall keypad, tablets or dedicated room remotes. Have a house full of teenage kids who have their own Spotify accounts and music taste’s? No problem as each room can listen to different accounts, different volumes, no stress! For the most reliable multi room audio experience a fully wired solution should always be considered ahead of the ever increasing and popular wireless system’s available today…especially if building new or undertaking a large renovation project. Centralising all your media in a hub, installing high quality in-ceiling or in-wall speakers and hard wiring the network connection’s, not only keeps the installation aesthetically pleasing and discrete, but far more robust! If cabling restrictions or budget won't allow for a wired solution then I would personally recommend the wireless options from Bluesound. 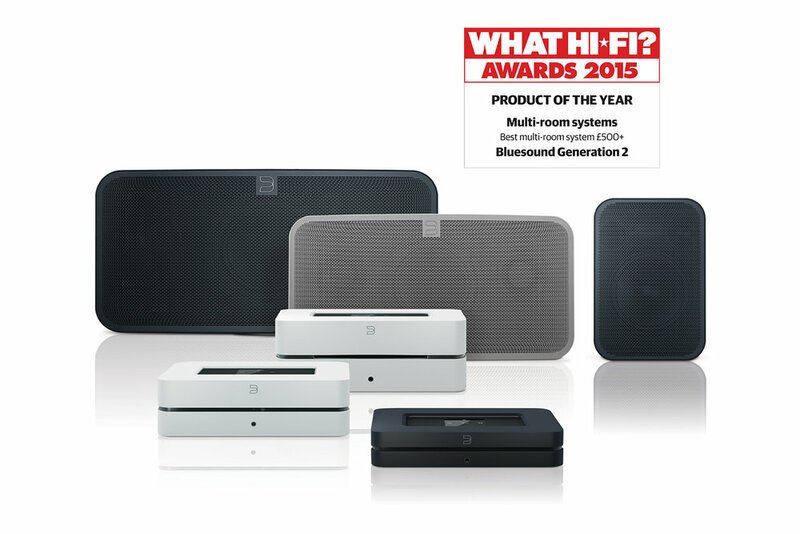 Like all it's competitors, Bluesound has a family of wireless speakers available, with an easy to use mobile app. However what makes Bluesound stand out from the rest is all their speakers support Hi Resolution Audio playback. Bluesound is not a computer company masquerading as an audio company. They are made by audiophiles for audiophiles. While Bluesound is compatible with MP3s, their players are also compatible with just about every other digital format that’s available, including MQA for those who will settle for nothing less than studio-master-quality sound. Combining sleek and modern design sensibilities with a spare-no-expense attitude on the integration of advanced, innovative audio technologies.